Comfort was acquired privately by Eclipse in January of his 3 year-old year after an eye-catching Maiden score. The son of Indian Charlie was much maligned throughout his Eclipse career, emerging from his auspicious stable debut in the Grade 3 Lexington with a hind ankle injury and he was injury prone and plagued for the next 2+ seasons, although magnificent on his day. Comfort won an Allowance sprinting on the dirt at Gulfstream at the end of his 3 year-old season, but came out of that effort requiring surgery to cut his check ligament. 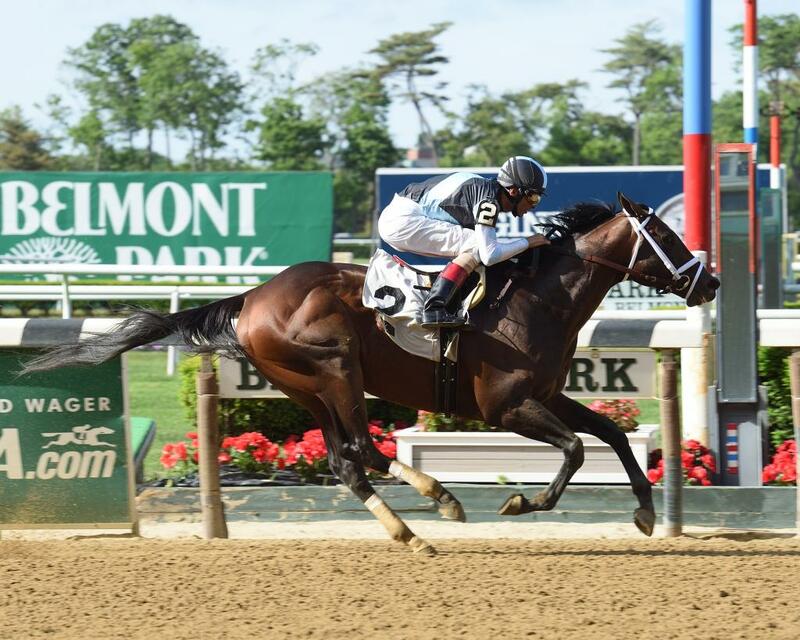 Ever the warrior, Comfort came back at age 4, reeling off a pair of spectacular victories at Belmont Park, including a rousing score in the State Dinner Stakes. He then dove into the deep end of the pool, tackling the top Handicap colt in all the land, Frosted, and ran that foe to a fierce 2nd in the Grade 1, $1.25 million Whitney at Saratoga. Comfort would then return to Belmont Park where he won the Seattle Slew Stakes, fracturing his shin in the process. From June to September he posted 4 consecutive triple-digit Beyer Speed Figures, won 2 Stakes at Big Sandy and a gutsy 2nd in the Whitney at The Spa. After the Seattle Slew, Comfort underwent a 3rd surgery and was brought back for a 5 year-old campaign, but he re-aggravated his shin and was retired to stud in New Mexico where he is preparing to stand his 1st season as a stallion. On his day, Comfort was exceptional, winning Stakes in the Big Apple in monster style while racking up robust speed figures. He was a true warrior who battled through injury and always laid his body down. With his sterling pedigree and natural talent, Comfort is cut out to be a serious stallion and in a few year’s time, it will come as no surprise if he takes New Mexico by storm. Comfort epitomizes the heart, class and talent of a true Eclipse Hall of Famer.